delicious, healthy, vegan friendly, low gluten bakes – have your cake and eat it! What on earth is that ingredient? 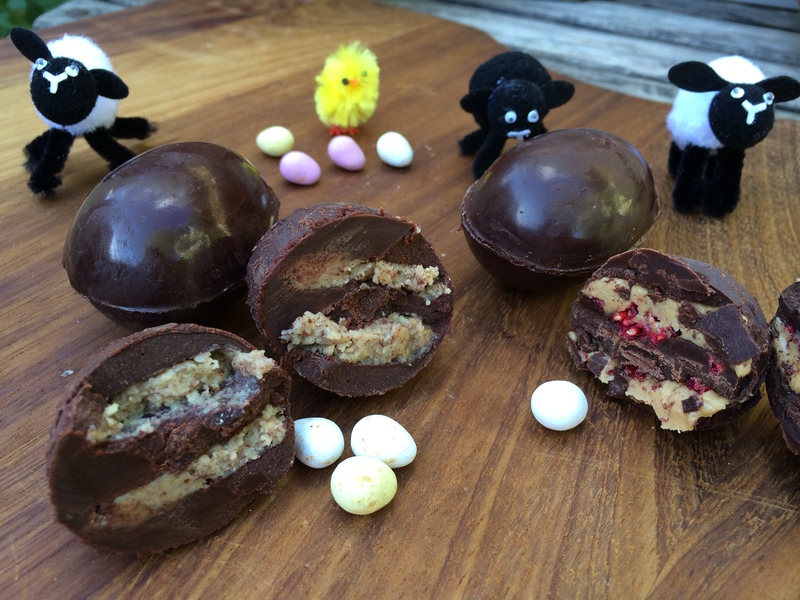 With Easter upon us I thought I’d share a few of my favourite, slightly healthier but equally yummy Easter recipes. 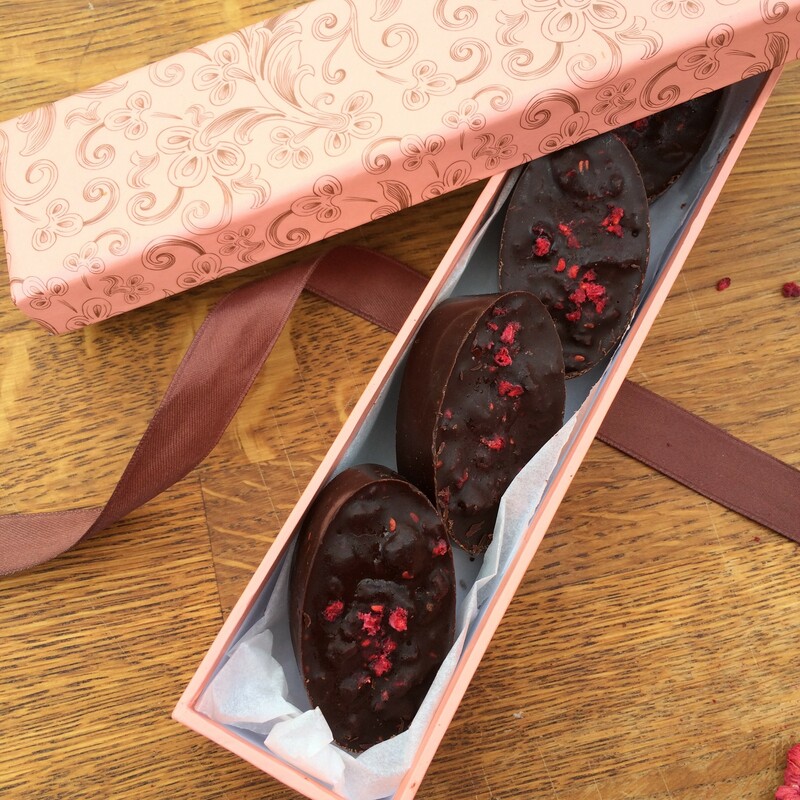 So if chocolate is your thing then why not try some quick, raw chocolates like these chocolate coconut treats, or the raw chocolate filled eggs and fruit eggs, or if you fancy something with a little more kick – why not try the chilli chocs. 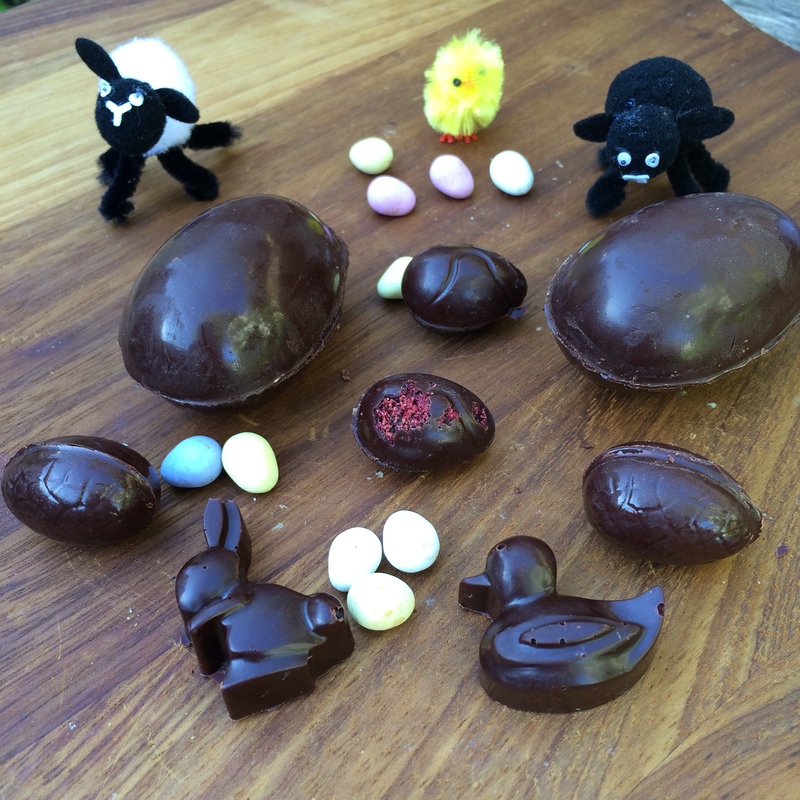 Or how about whipping up some quick, cute, marzipan bunnies! What about creating a quick batch of Easter spiced biscuits, or some fresh, light lemon and chia cookies to dunk in your afternoon tea on Easter Sunday. If you’re feeling adventurous you could try my coffee and amaretto cupcakes (using any instant coffee you have to hand). 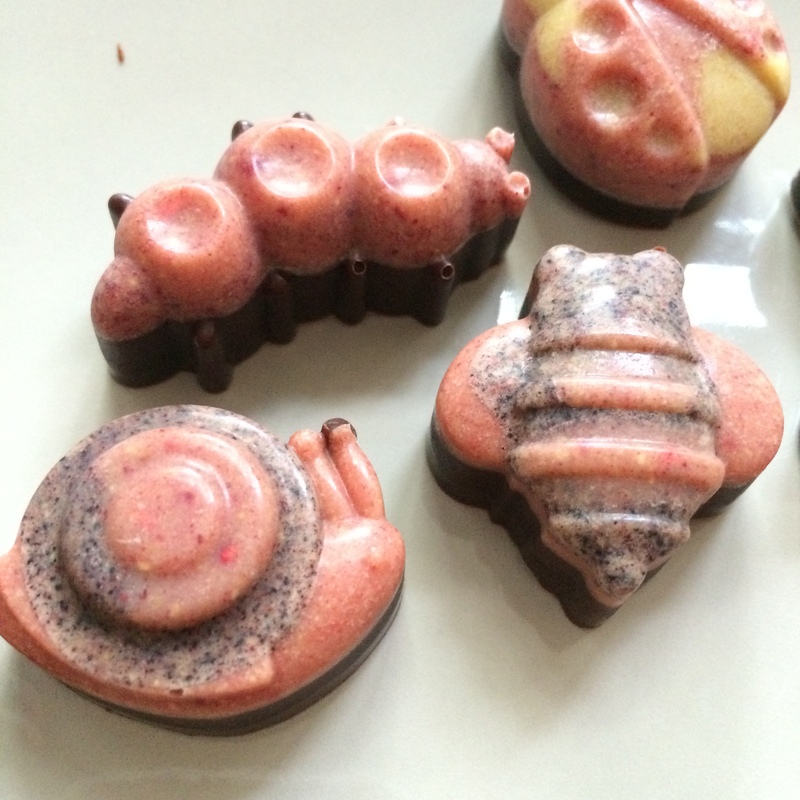 I made these a while ago but totally forgot to put the recipe up! Bad Nancy! 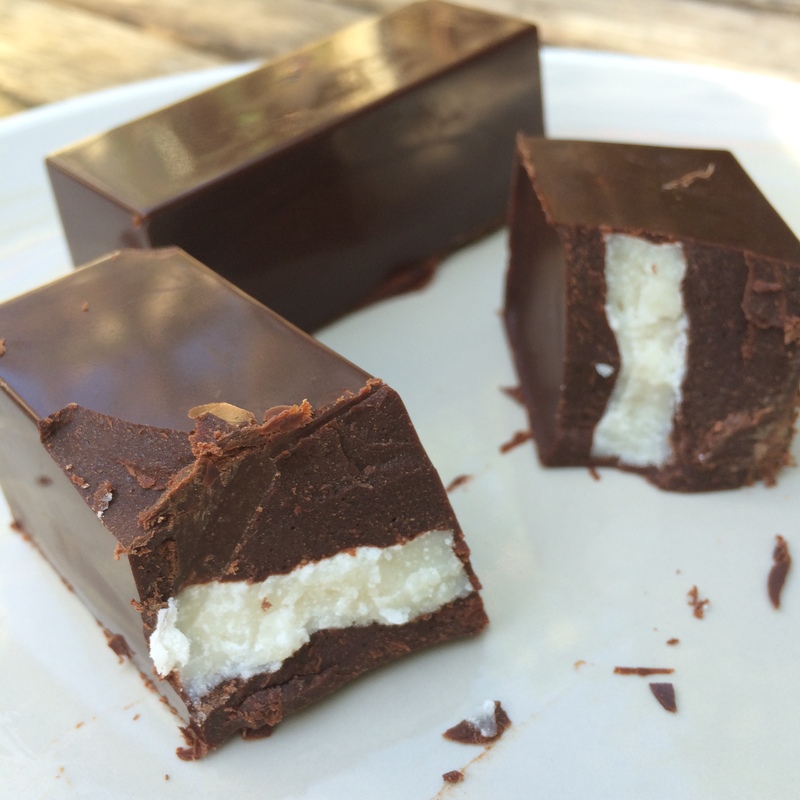 These are delish – a great alternative to a traditional “Bounty” bar and FAR healthier! 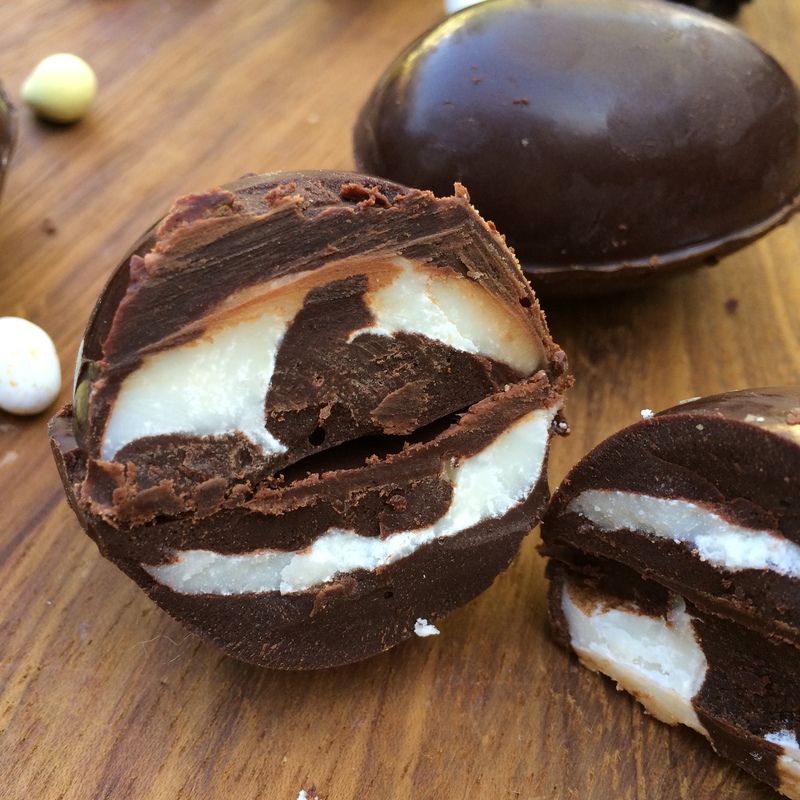 They’re made with raw chocolate so they’re full of antioxidants and the coconut centre is pure coconut, nothing else! 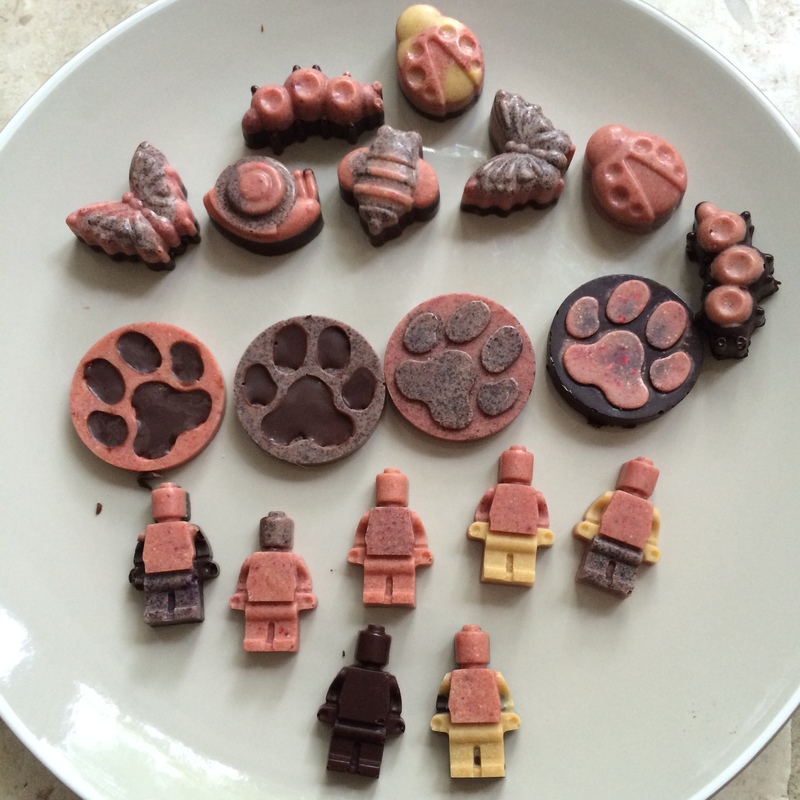 You will need some sort of mould for this – it can be any shape and any size you like! I’ve gone for a rectangular one as I happened to have one in my cupboard but anything will do. Coconut butter – the amount will depend on the size of your chocs so start with a small amount and it’s easy to make more as needed. You need to make sure you use a whole coconut flesh butter, rather than coconut oil. I used the Artisana brand. Start with the chocolate. Mix the cacao butter, cocoa and maple syrup together and ensure there are no lumps. Pour a small amount in to the mould – remember you are filling this so don’t fill the mould – probably aim for a third of the mould. Save enough to cover the filling later. You will probably find that it settles at the bottom leaving the sides with only a very thing layer. This is ok – just pop it in the fridge for now. After about 5 mins check it and as it’s beginning to solidify just swirl the mould around so the chocolate coats the sides too. Place back in the fridge until set hard (15 mins should do it). Cover the top with more of your raw chocolate mix (you may need to re-warm it if it’s started to set). Pop straight back in the fridge until properly set – 30 mins or more. 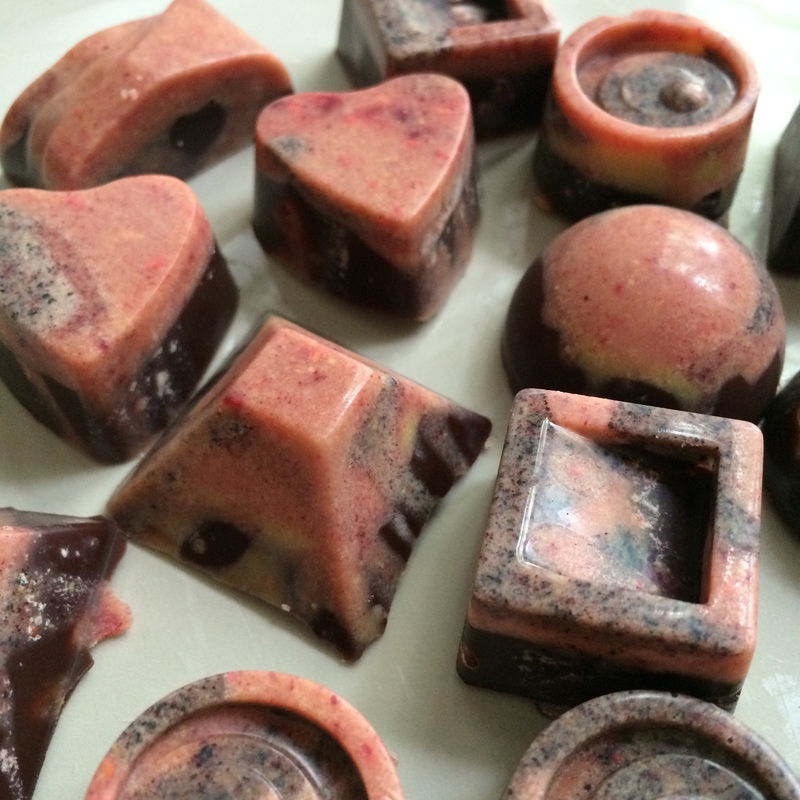 As you’ll know from my recent raw choc recipes (see here and here) I’ve been having loads of fun playing around with my raw choc and raw white choc recipes, and my collection of freeze-dried fruit powders. The results were awesome! 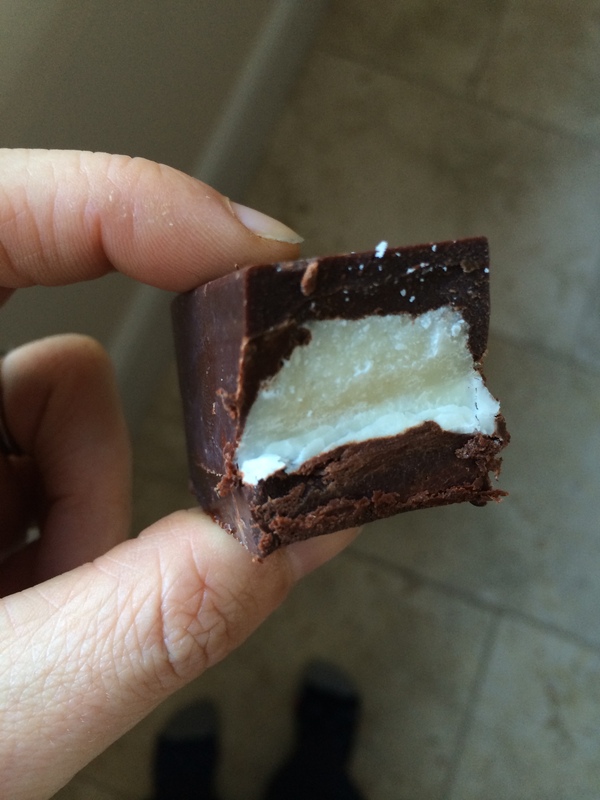 The method is the same for both – melt the cacao butter and then stir in all the other ingredients. Mix well. Now for the fun! and mess…. You can do whatever you like! I made a load of small quantities of chocolate of various flavours. 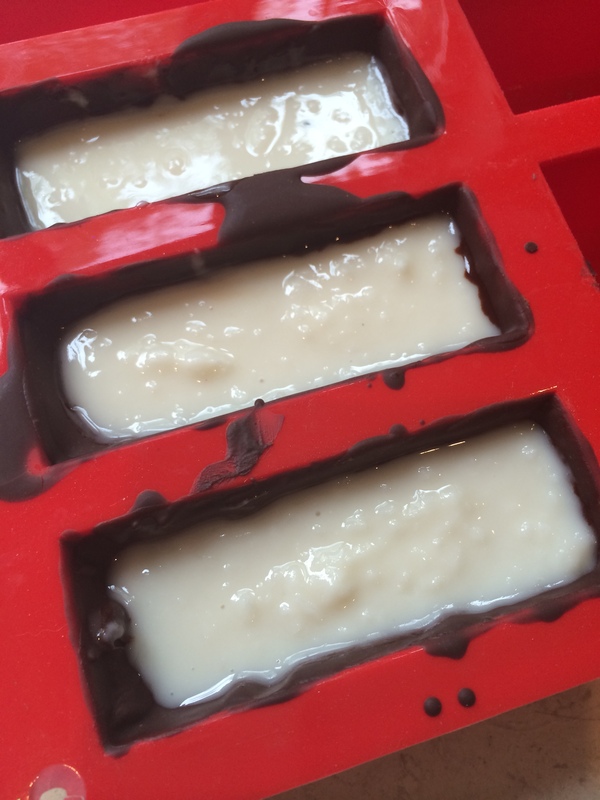 Then I filled some moulds full of that flavour which worked well. 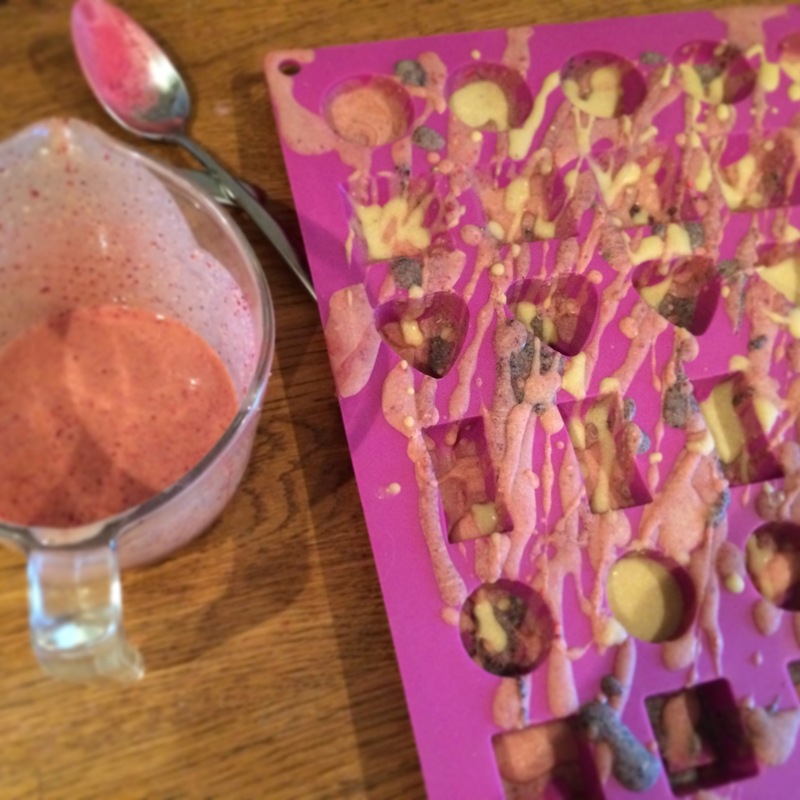 Then I had some fun….. either carefully dribbling one flavour in to the mould or liberally splashing it around to create a beautiful marble effect. Splash one flavour at a time, then pop in the fridge to set before doing the next. Place in the fridge between each one until you’re finished. Allow to set properly in the fridge and store in there until you want to eat them! 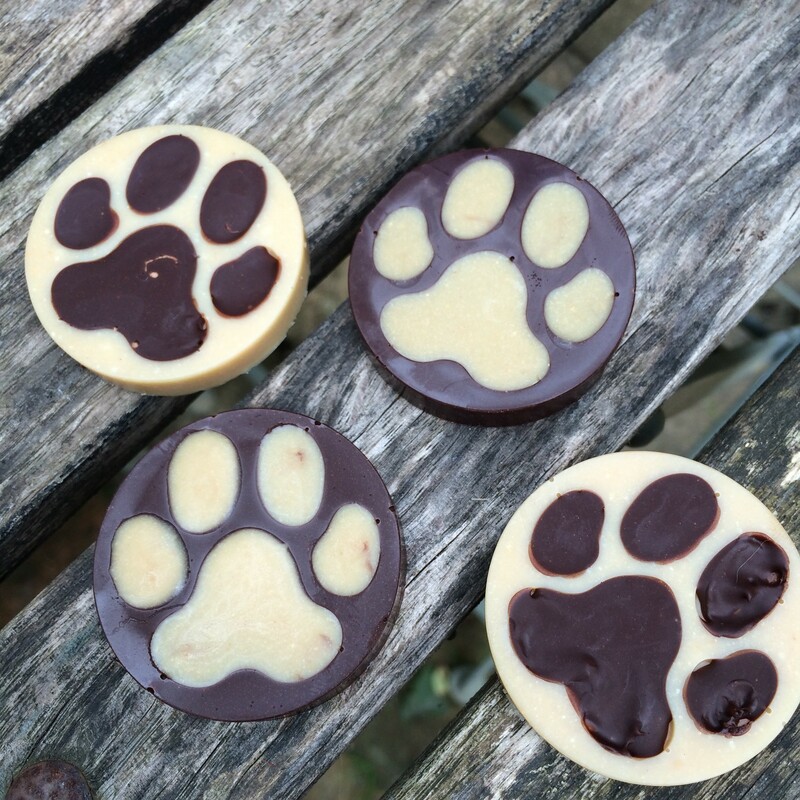 Dairy Free Raw White Chocolate! I’ve been meaning to post this recipe for a while now. 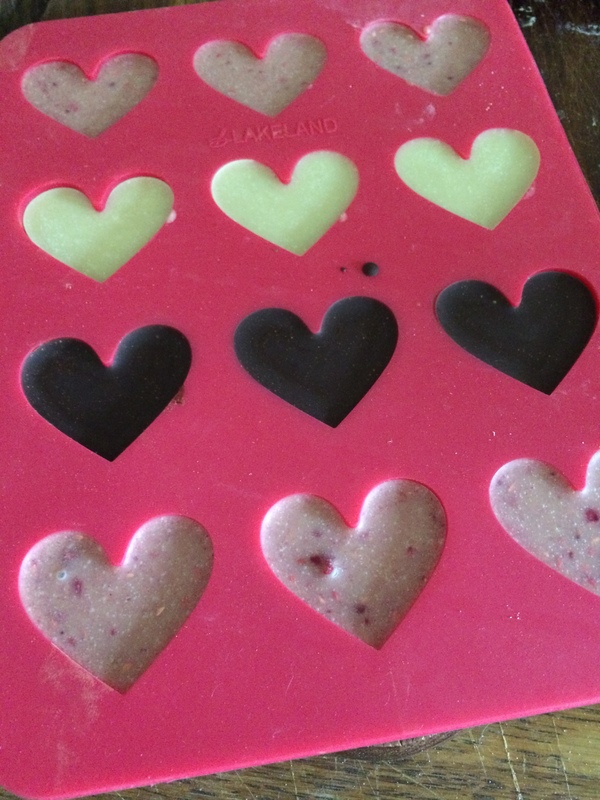 White chocolate is one thing that’s pretty hard to come by if you’re trying to avoid dairy so I wanted to come up with an easy to make alternative and I think I’ve found it! 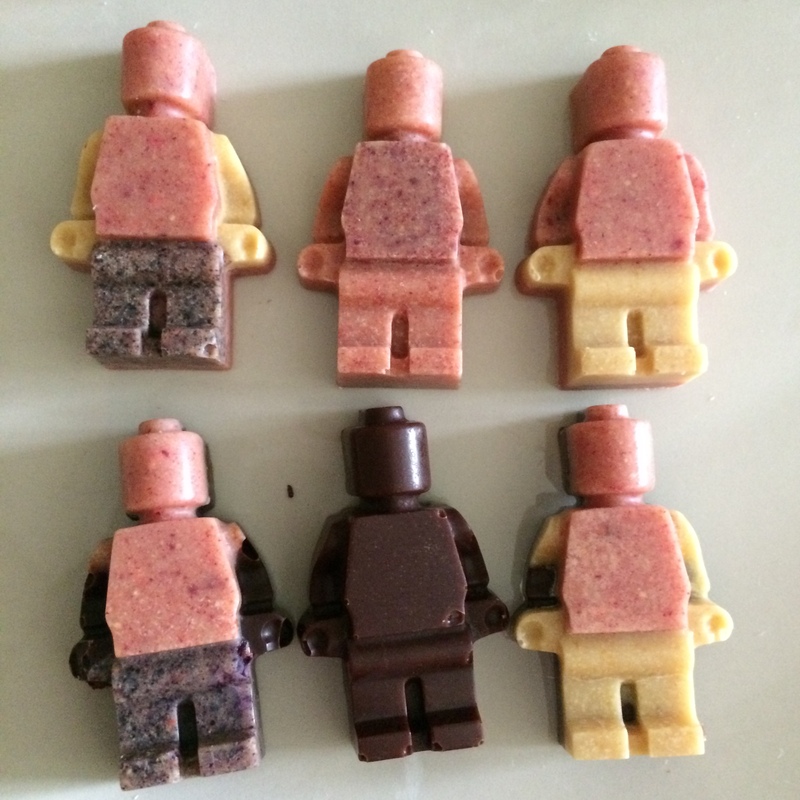 I made some plain white choc ones, some mixed with dark raw choc and for some I added some freeze-dried raspberry powder to give a yummy raspberry choc! 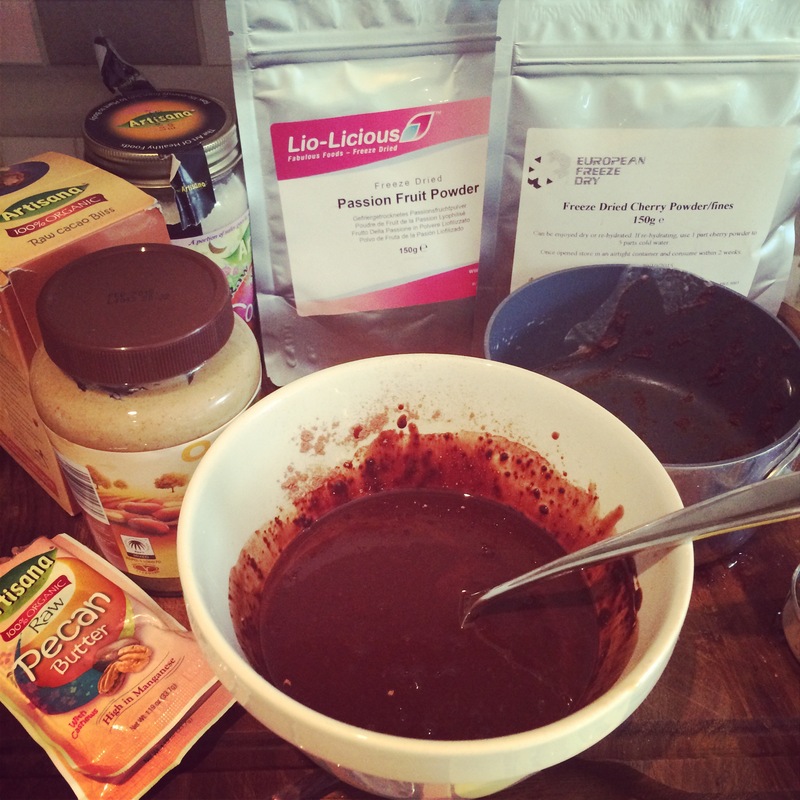 Melt the Cacao butter and then stir in all the other ingredients. 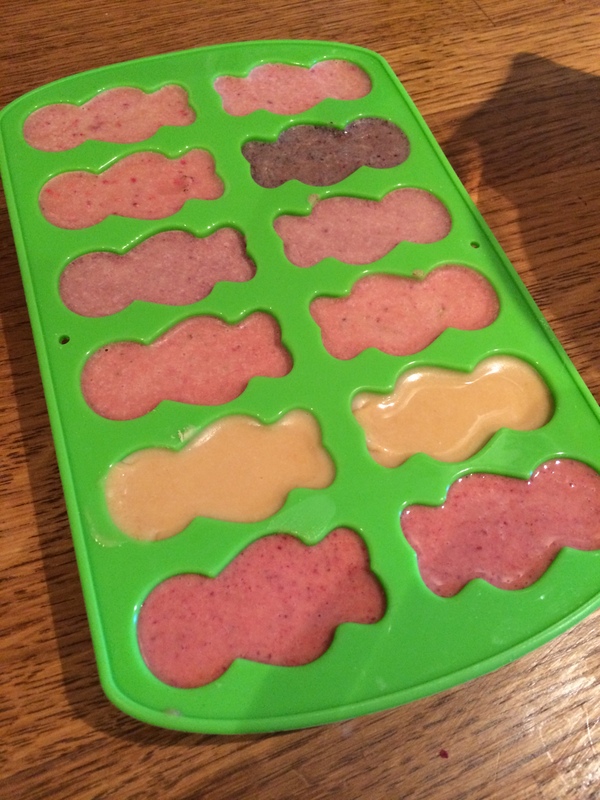 Mix well and then pour in to moulds. Pop in the fridge until set. Enjoy! 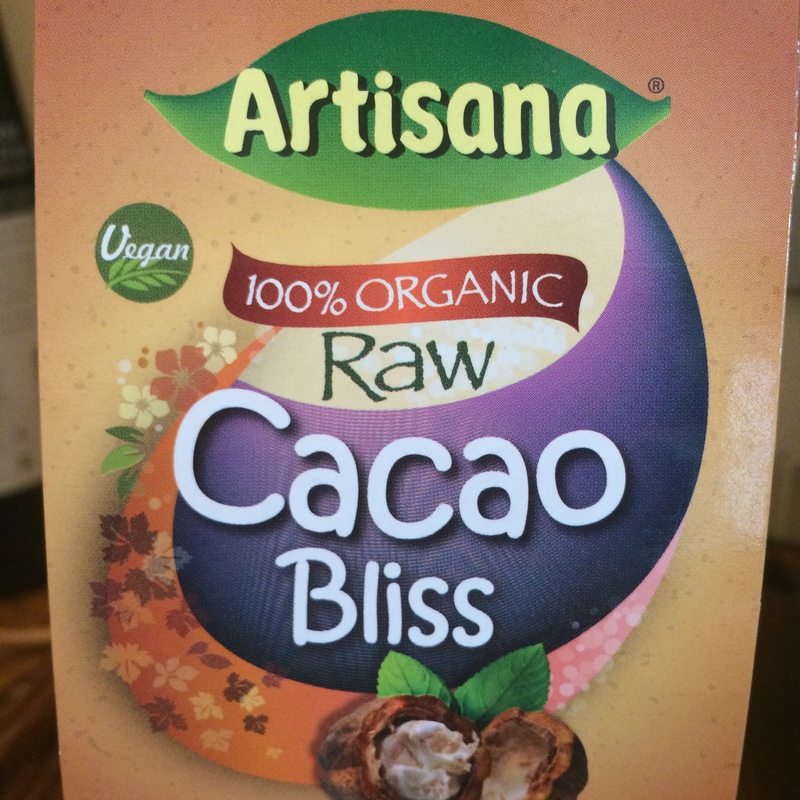 All you need is some of this wonderful stuff – Artisana Cacao Bliss. 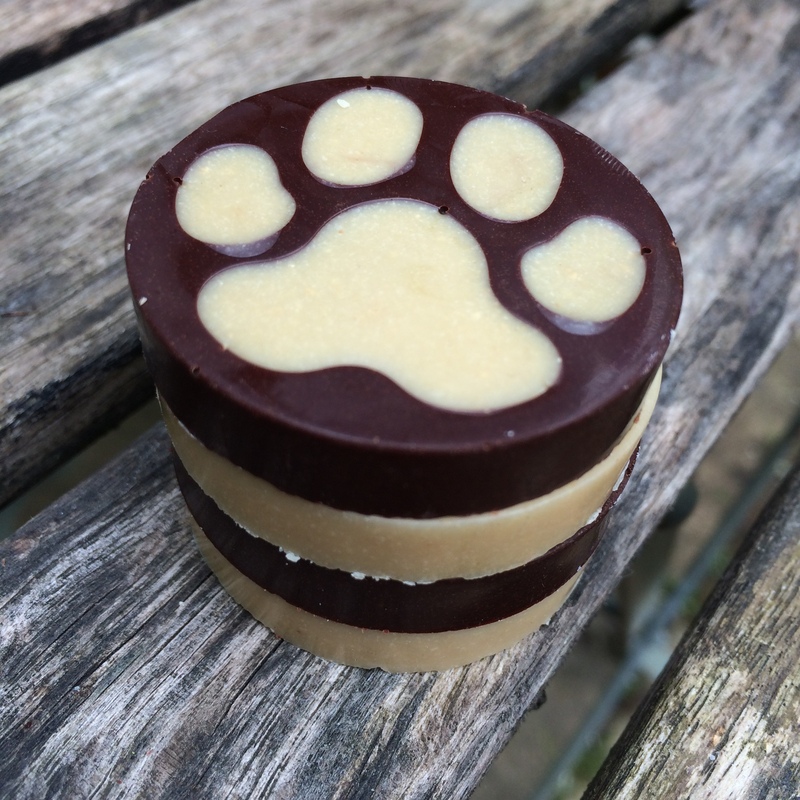 It’s just chocolate coconut butter, made from coconut flesh (not the coconut oil). 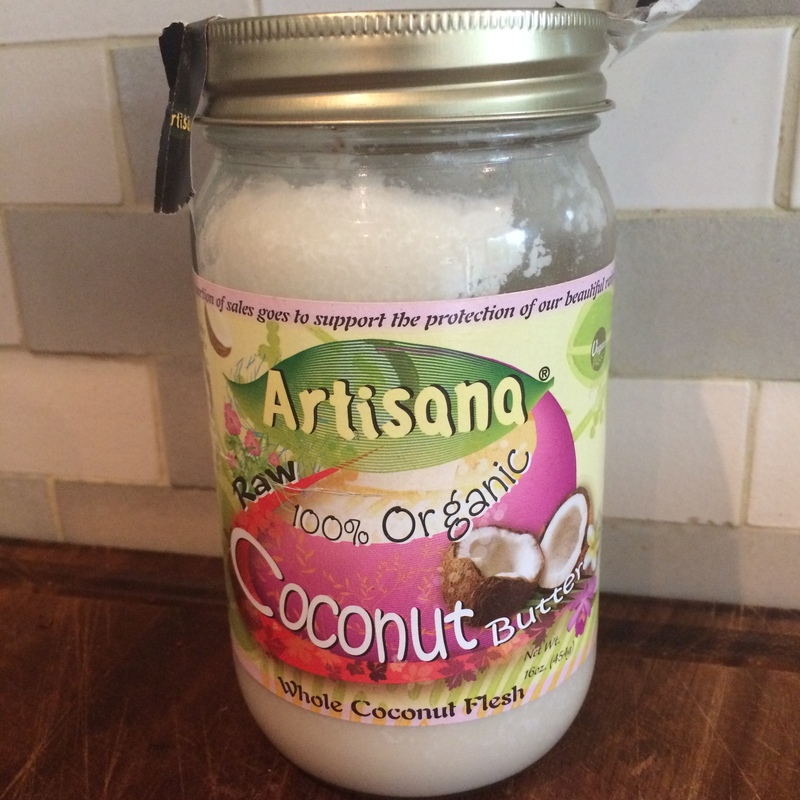 If you can’t find this then you can use the normal Artisana Coconut Butter and just add raw cocoa powder to it (to taste). All you need to do is melt the coconut butter in a pan on a very low heat. I like this just the way it is but if it isn’t sweet enough for you then you can add some maple syrup to taste. 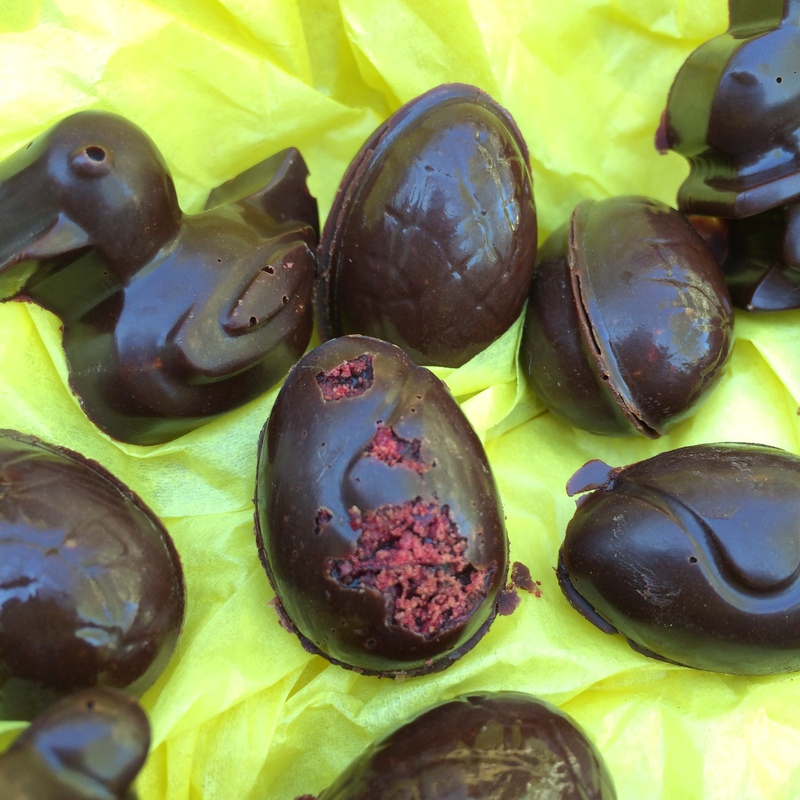 Once it’s melted all you need to do is pour in to moulds – egg shaped or otherwise! Pop in the fridge for 20 mins to set. If you’re doing eggs remove from the fridge and mould. Warm the back of the eggs using a hair dryer or a warmed spoon just to melt it slightly, then press 2 halves together. Place back in the fridge for a few mins. 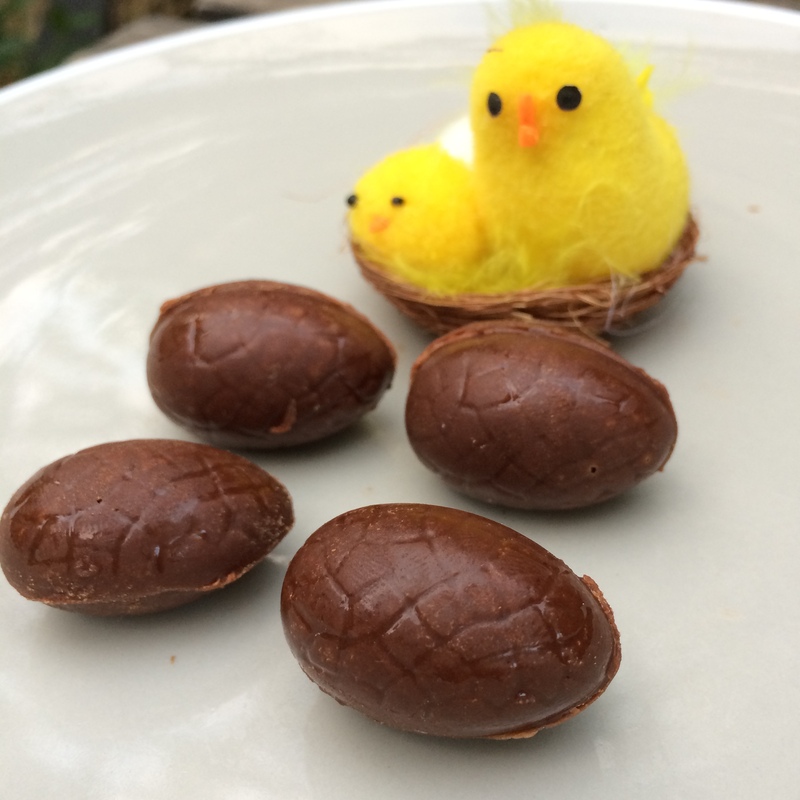 Well… it is Easter… and I happen to know someone who loves raw chocolate so it gave me the perfect excuse to whip up a batch of raw chocolate eggs. 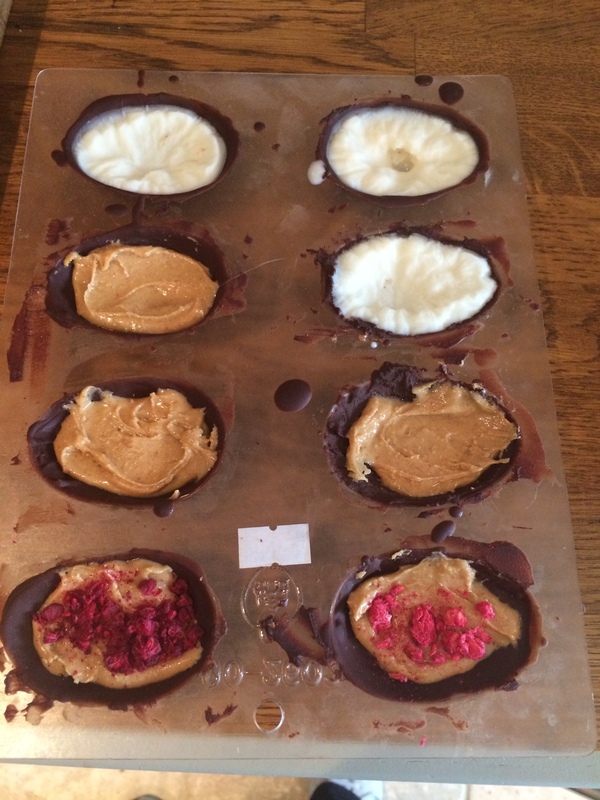 I fancied having a bit of a play with all the exciting things in my cupboard – peanut butter, pecan butter, coconut butter, freeze dried passion fruit powder, freeze dried cherry powder, freeze dried cherries, freeze dried raspberries so decided I’d make a batch of medium filled eggs and some little mini fruity eggs! A selection of fun things to fill or flavour them with! Your choice – nut butters, coconut butter (this isn’t the same as coconut oil – I use the Artisana brand – available online), freeze dried fruits etc. Mix the cacao butter, cocoa and maple syrup together and ensure there are no lumps. Pour a small amount in to the egg mould – you are filling your eggs so don’t fill the mould – probably aim for a third of the mould. You will probably find that it settles at the bottom leaving the sides with only a very thing layer. This is ok – just pop it in the fridge for now. After about 5 mins check it and as it’s beginning to solidify just swirl the mould around so the chocolate coats the sides too. Place back in the fridge until set hard (15 mins should do it). 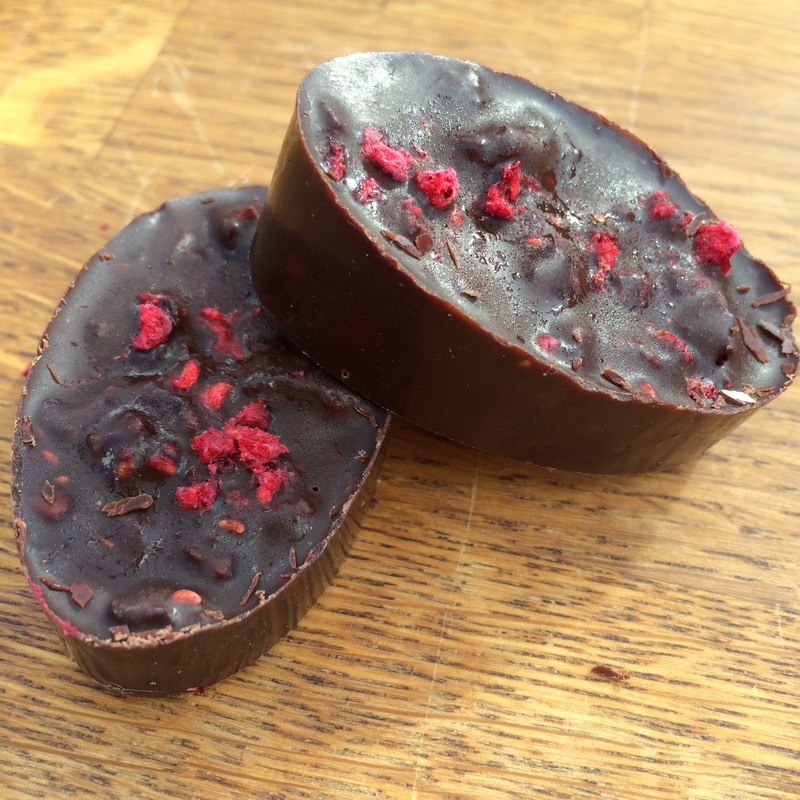 If you’re using nut butter then add a tsp or two and you can then sprinkle in some freeze dried fruit if you fancy it (raspberries work well with peanut butter). Remember to do an even number of each filling (unless you want eggs half one flavour, half another). If you’re using the coconut butter use a whole coconut flesh butter, rather than coconut oil. I used the Artisana brand. It’s easier to work with if you melt it very gently in a pan – just until it’s runny and then just pour it in to the eggs and pop straight in to the fridge. Once the filling has set, cover with a layer of chocolate. You don’t have to do this but it makes it much easier to join halves later in a relatively neat way! Allow to set in the fridge until really well set (at least 15 mins). Pop your eggs out the mould and then you can either use a small amount of melted raw chocolate to sandwich them together, or you can use a hair dryer on a low heat to very gently melt the back of the eggs (be super careful as raw choc has a very low melting point so handle the eggs as little as poss and be gentle with the hair dryer). 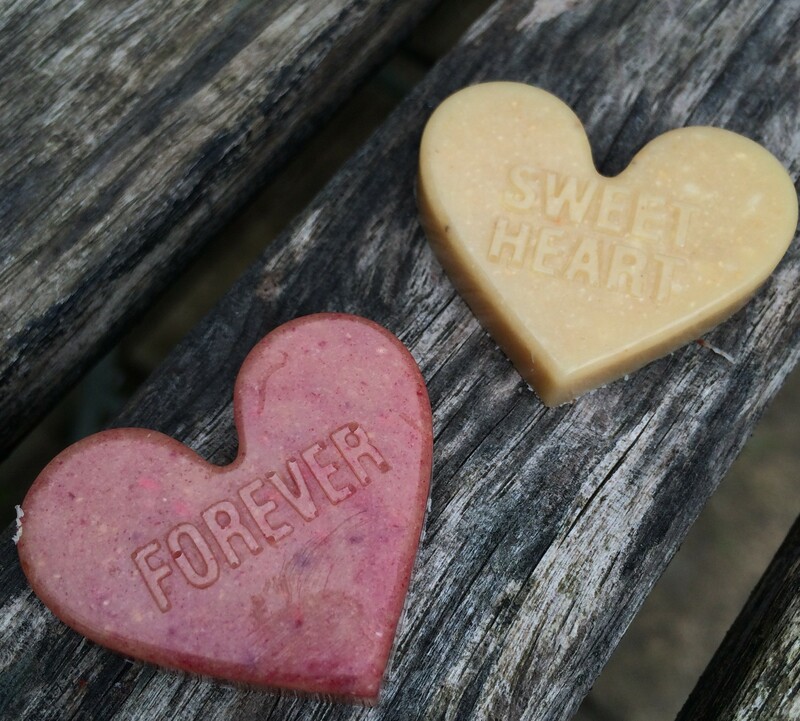 Once melted press the halves together and pop back in the fridge! 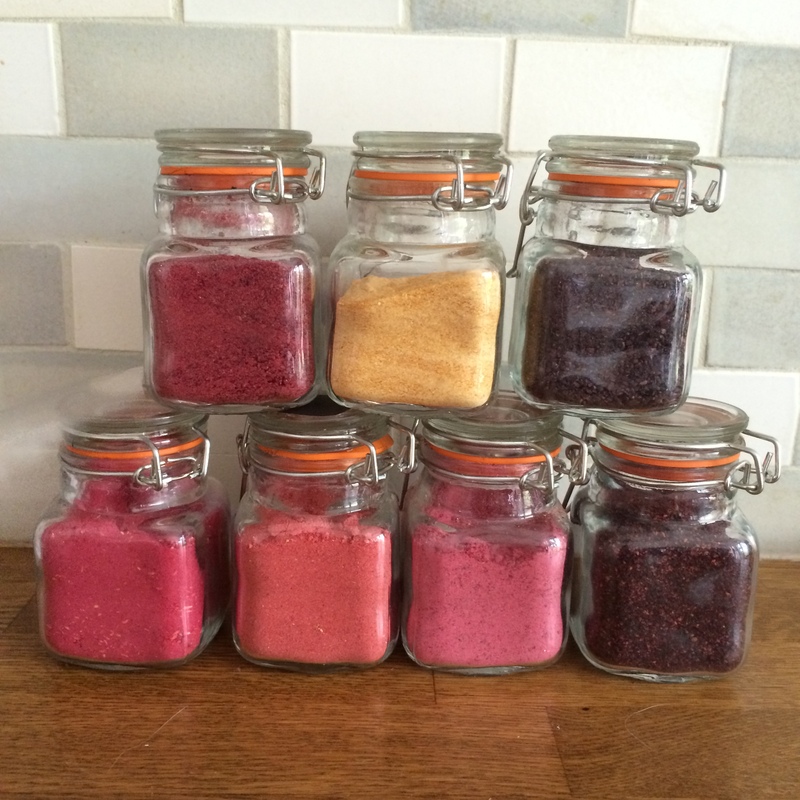 Take your raw choc mix and stir in to it your freeze dried fruit or fruit powder of choice. I split my mixture and in one half I added 1 tbsp freeze dried cherry powder and a handful of crushed freeze dried cherry slices. 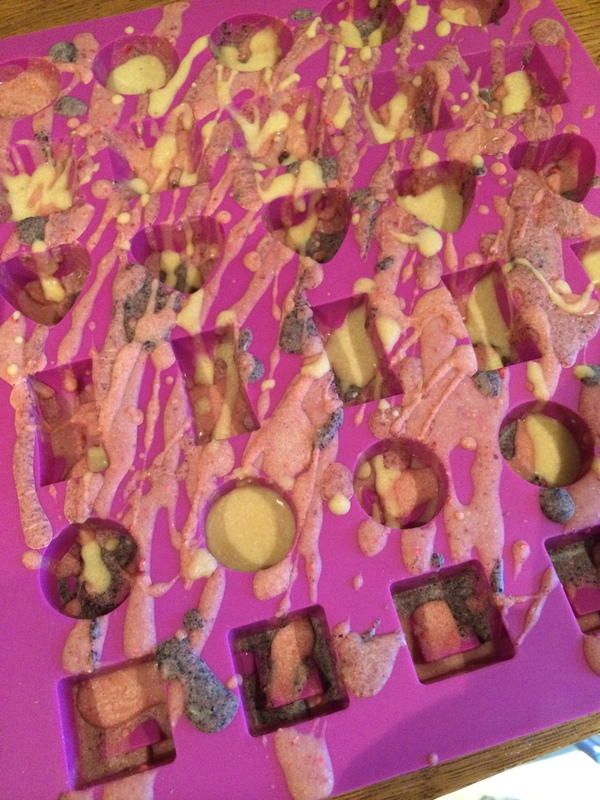 In the other half I added 1 tbsp freeze dried passion fruit powder and a handful of freeze dried mango pieces. Mix well and then pour in to your egg or whatever shape moulds. Pop in the fridge for at least 15 mins. Remove and stick the halves together with a little melted raw choc or using a hair dryer to melt the backs a little as before. 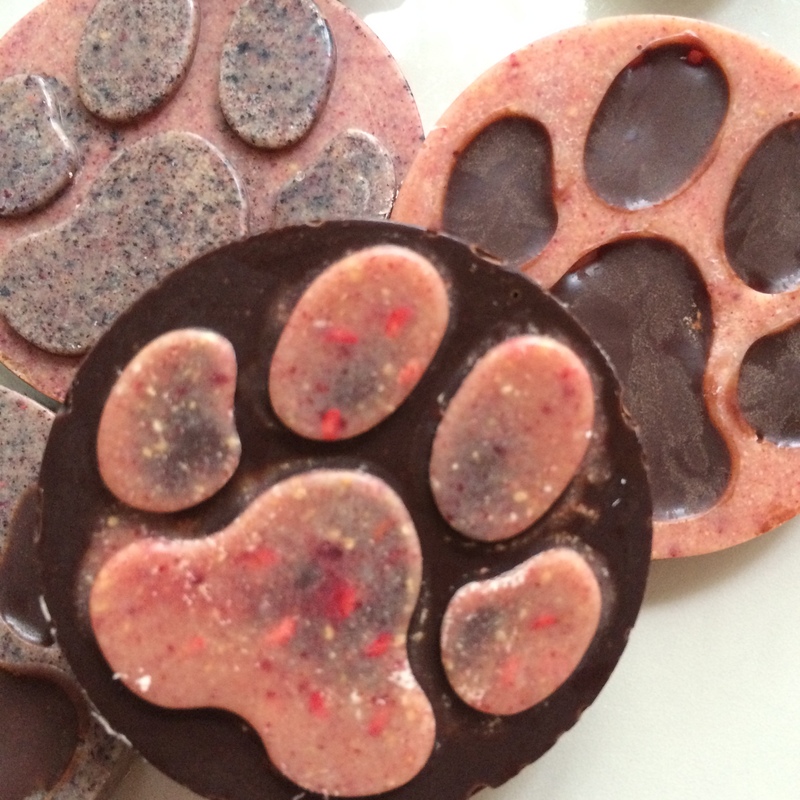 These beautiful raw chocolates are fantastically easy to make and taste delicious. They’d make a perfect gift too (if you don’t eat them all first 😉 ). 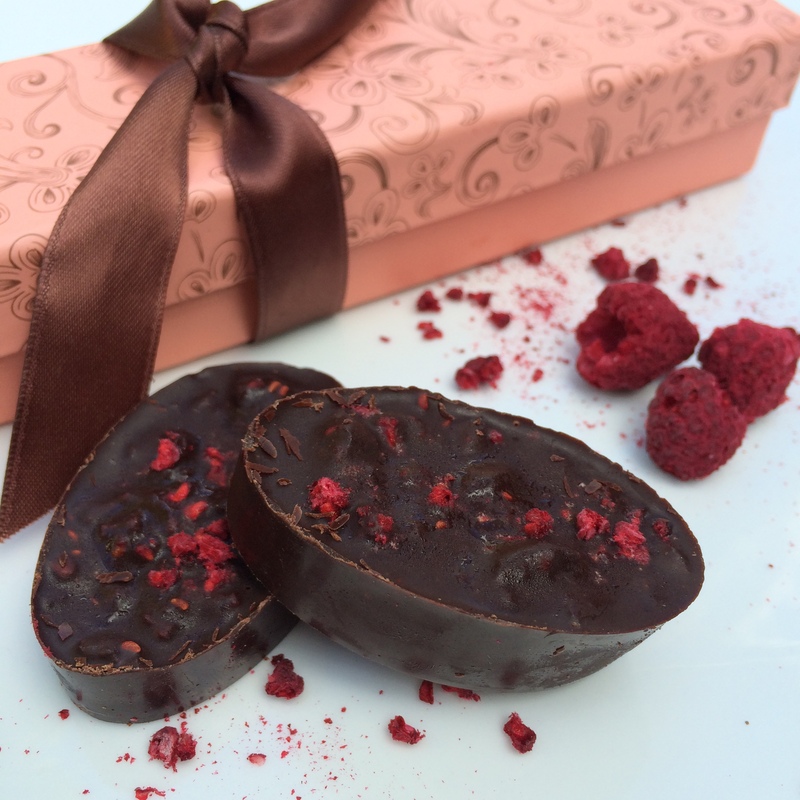 You can flavour them with anything you like but I’m a big fan of raspberry and chocolate and when I found the freeze-dried raspberries online (Amazon sell them) and thought they’d be a great addition to these chocs. Melt the cacao butter and mix it with the cacao powder and maple syrup. Use a small whisk or fork to mix the ingredients well. Add in the raspberry powder and mix well. Lightly crush the whole raspberries into smaller pieces and then stir them in. Simple Gluten Free recipes for any time of day.